Across many industries, manufacturers are transitioning from standalone bench top to modular test platforms. For some, the decision towards modular is essential as it helps to address the test challenges of multi-channel technologies, cost and time to market. This article takes the reader to uncover the advantages of modular instrumentation and provide a quick guide and tips to ensure a successful modular implementation. There are many beneficial reasons to transition from bench top to modular. One of the attributes of modular is small footprint. Multiple channels are supported in a compact space without duplicity of displays and front panels. The open system allows engineers the flexibility to configure modules from different vendors and to integrate a range of instruments. Scalability of modular systems is an attractive feature for multi-channel applications as it allows for synchronized, phase-coherent measurements. 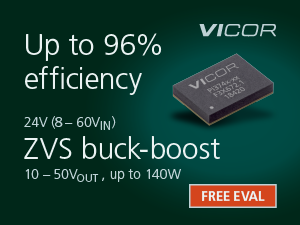 Besides that, high throughput is achieved with optimized drivers providing direct access to backplane speed. 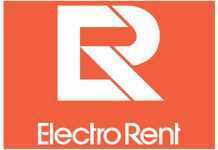 All this leads to great savings in total cost of ownership. Transitioning from a benchtop to a modular test system is a big step and implementing the right strategy that supports today’s and future test needs can save engineering time and cost. A good understanding of your options and the pros and cons upfront will help you succeed as you develop a new modular test system or update your existing test system with PXI or AXIe instruments. Although we may focus more on the PXI test system, some of the information also applies to AXIe. Essentially, AXIe is the high-performance big brother to PXI. It looks the same as PXI to a host controller and shares the same standard PCIe I/O interface. The main difference is that AXIe is optimized for high-end applications like high-energy physics and multi-channel antenna by offering larger board space and higher power per slot. 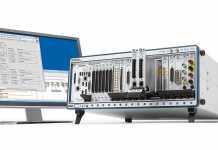 The PXI test system development starts with the infrastructure by selecting the chassis, controller and interface. The chassis provide a single power source and cooling for a selection of plug-in PXI instruments, switching and control modules. As there are multiple sources for PXI chassis and controllers, and thousands of PXI modules available from many different vendors, it is important that test system developersare well informedon PXI interoperability. To support future needs, select a chassis with a large number of hybrid slots to provide for both PXI-1 hybrid and PXIe style modules. 1. choose a PCIe adaptor card optimized for driving long PCIe lines and provides clock isolation with low clock/data jitter. 2. select one that has been pre-tested to verify BIOS and signal characteristics are suitable for full enumeration of PXIe chassis. 1. PXIe chassis require PXIe controllers. 2. PXI-1 chassis require PXI-1 controllers. Select PXI modules which are PXI hybrid slot compatible as older PXI-1 modules may not be. 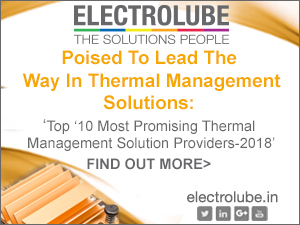 To minimize system downtime, select a test platform that has longer duration standard and optional warranty and calibration plans, low failure rates, and flexible delivery choices. 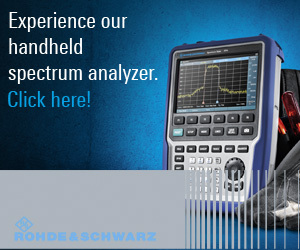 To avoid false pass/fail of your products, select test equipment that provides periodic calibration options with measurement uncertainties towards warranted specifications. To future-proof a test system, select a PXI or AXIe platform that can evolve as test requirements evolve, particularly if options can be quickly added with license key upgrades. For larger test systems, multiple chassis can be connected in various configurations. Multiple chassis can be connected directly to the PC in a star configuration or from chassis to chassis in a daisy chain configuration. Some examples of star and daisy-chain configurations are shown in Figure 1. Figure 1. PXI Star and daisy-chain chassis configurations. As with any automated test systems, software plays an important role. For each module, you will have several software options. As instrument modules are selected, it is important that system developers understand the modules’ communication path – how the module is controlled through software, and trade-offs in programming time and test throughput. 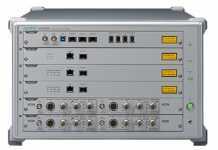 PCI is the primary communications path for PXI instruments. 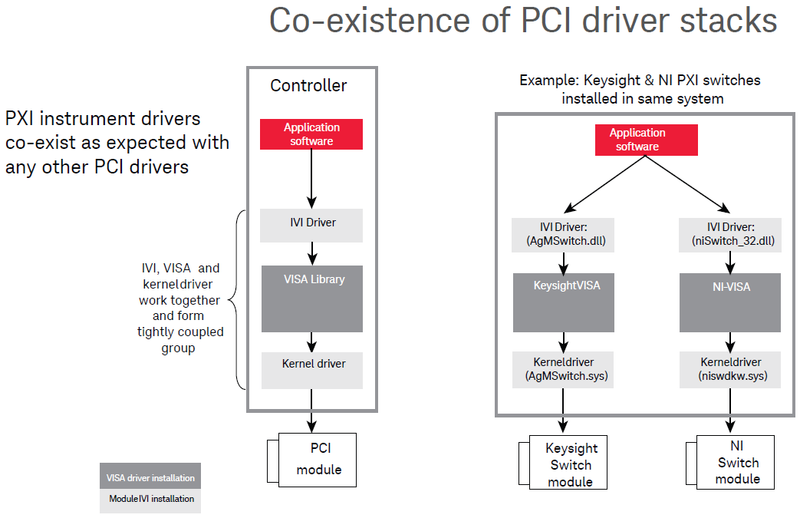 Just as the PCI electrical specifications provide a framework for electrical connectivity, the PCI device driver provides a common framework for software access. To provide scalability and support for the many different instruments, the driver stack is usually partitioned into multiple layers. Figure 2 shows the kernel, VISA, and IVI driver stacks work together and form a tightly coupled group enabling co-existence of PCI driver stacks from multiple vendors. Figure 2. PCI driver stacks for multi-vendor interoperability. A kernel driver provided by the instrument module is used to interface the instrument with the PCIe bus and to communicate with the virtual instrument software architecture (VISA) within the IO software layer. The interchangeable virtual instrument (IVI) drivers, i.e. IVI-C, -COM and –NET drivers, are typically supplied by PXI or AXIe module manufacturers to provide a programming interface with test system software. PXI instruments are provided with a soft front panel driver, a GUI interface that allows you to easily verify communication between the PC and instruments create and execute instrument commands and display results. Soft front panels are most helpful during initial startup and when troubleshooting or creating new instrument control programming code. Test systems that prioritize measurement speed use programs written by engineers in programming environments such as C, C++, C# and Direct IO commands to optimize test throughput. These and other programming environments, use SCPI commands to achieve the fastest test execution times. Fast throughput is also possible when using modern instrument drivers in programming environments such as LabVIEW, Microsoft Visual Studio, VEE and MATLAB. Although instrument drivers provide greater flexibility for speed, they require more development timeand the measurement accuracy depends on the engineers’ code. On the other hand, application specific software, such as 89600 VSA software, Signal Studio, and SystemVueis createdfor ease of use, faster development and measurement integrity. At the same time, it also provides specialized measurement and analysis capabilities. Use Windows Device Manager to determine if PXI modules are present on the PCI bus and if a driver is associated to the instrument. If using VISA alias or resource descriptors, use the corresponding supplier’s tools for setting. For example, Keysight Connection Expert for Keysight modules and National Instruments MAX for NI modules. To ensure consistent, reliable test-result validation from R&D to manufacturing, use common application software. 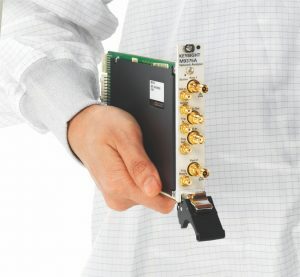 To ensure maximum flexibility during system development, look for modular instrument vendors who provide software tools and applications that support all of the leading test development environments, including National Instruments LabVIEW, LabWindows, Microsoft Visual Studio, Keysight VEE and MathWorks MATLAB.